Back in November I took a chance on ordering the Matrix Powerwatch as a pre-order. It had been offered on Indiegogo, the crowdfunding site, before I learned of it but I like to wait to order such things after crowdfunding periods have ended to make sure the product is actually going to be produced and function properly. However, thousands of backers threw their support behind the new technology and some have finally received the watch. The Powerwatch isn’t in the league of smartwatches that you may be used to like Android Wear or the Apple Watch since it is limited in functionality by the amount of power generated but it’s intriguing nonetheless because it never needs to be recharged by a cord and it’s touted as providing more accurate calorie burn estimates. If you remember how calories are calculated you’ll remember that calories are simply the amount of energy required to heat one kilogram of water by one degree Celsius. Our bodies are always producing heat (energy) and much of it is lost through the skin. While most body heat is lost by radiation, which is heat lost to the air, some heat is lost or better stated, transferred by conduction. An example of conduction is when you sit on a cold metal bench. The cold sensation you feel on your bottom isn’t the cold of the bench cooling your body but rather heat leaving your body and transferring to the cold bench. This is why you don’t want to sleep on a cold surface for too long because you’ll risk hypothermia. Remember that heat transfers from hot to cold and this energy transfer is precisely what the Powerwatch uses to generate power. On colder days, there will be more energy generated to recharge the watch because there’s more conduction taking place. On hot days, there is less body heat lost or none at all so no recharging will occur but the watch has a battery that can last for up to a year without being recharged and surely most people won’t be in an environment where the ambient temperature is equal to or greater than 90 degrees Fahrenheit 24/7 365 days a year. As you workout, your skin becomes hotter, thus a greater temperature difference between the skin and the metal watch casing occurs, resulting in more energy transfer by conduction which should recharge the watch more quickly, and if the programming of the watch is sophisticated enough, calculate more accurate calorie burn estimates. It remains to be seen how accurate the Powerwatch is at estimating calorie burn during workouts however. One question I have is during those hot summer days when the ambient temperature is equal to or warmer than the skin. How is calorie burn calculated when heat isn’t being conducted through the watch from the body? This could be a problem even though I doubt I will be working out in 90 degree temperatures but I certainly could be walking in such heat in my daily routines. So far, from reading through comments made by those few who have already received the watch it’s in need of some software tweaking. I think Matrix got the recharging technology figured out well but the software side for estimating distance walked and calories burned isn’t quite there yet but a firmware update is coming soon. From the pictures and videos I’ve seen, the watch itself looks great. It’s large but it has to be to have enough contact with enough skin to conduct enough energy. As long as I never have to recharge it, it counts my steps correctly, and is reasonably accurate on calorie burn I’ll be happy with it considering it is new technology. Right now, I have no idea what to expect. It’s supposed to be shipped by the end of January 2018, or mid-Feb 2018 so I’m hoping to receive it within the coming weeks. At least I haven’t been waiting too long. Some early backers have been waiting since November 2016. The Powerwatch comes in three different models. 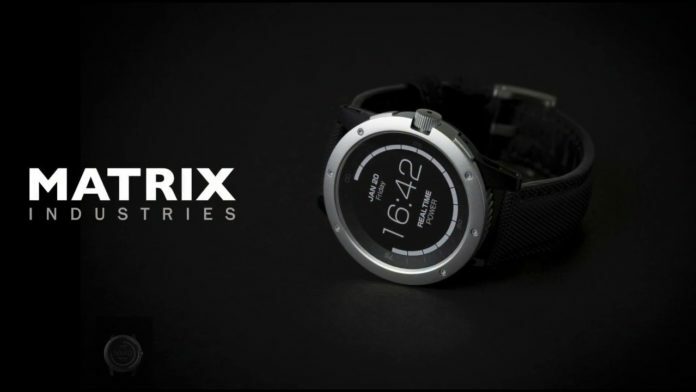 The silver model is the cheapest at $169, while the black ops version is $199, and the X model (to be released later and has the added feature of smartwatch notifications) is $249. I would recommend waiting to order the Powerwatch when it becomes available on Amazon or other major retailers. The shipping has been delayed several times during the pre-order period so I don’t want you waiting and waiting for your watch while they have your money but of course that is up to you. I took the chance which only proves I’m a geek (or sucker) but this is all for the love of science and technology.